"For those who like a wider mouth in a smaller, easy to carry size. 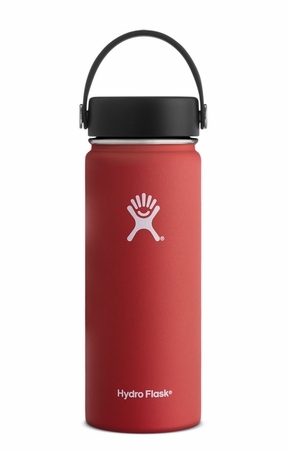 Wherever the day takes you, make sure to take our 18 oz Wide Mouth Bottle along for the ride. Perfect for morning hikes, afternoon ski lessons, or evenings by the campfire, it keeps your ice water ice cold for up to 24 hours or piping hot up to 12. And its all thanks to innovative TempShield double wall insulation. Its compatible with our handy Straw Lid and Hydro Flip Lid, too, which makes it easy to flip, sip, and stay hydrated wherever you go.